Does 23andme test for MTHFR? The 23andme MTHFR gene test is one of the most sought-after, requested by many 23andme customers. 23andme tests for thousands of single nucleotide polymorphisms and this includes the well known MTHFR gene mutations. How to find MTHFR on 23andme? 23andme provides your genomic information in the form of a raw data that can be easily accessed and then uploaded onto sites like Xcode.life to find out the specific variant carried. 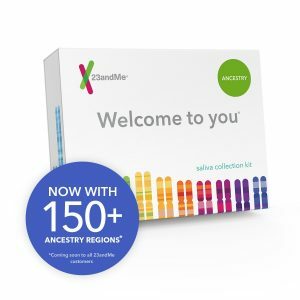 Apart from 23andme, raw data from companies like AncestryDNA.com, FTDNA.com, and other similar genetic testing service providers may be uploaded to find out more about your MTHFR gene mutations. Let us find out more about this gene mutation and how it is associated with your health. The methylenetetrahydrofolate reductase (MTHFR) gene carries instructions for the synthesis of an enzyme with the same name. This important enzyme is associated with the processing of amino acids, which are the building blocks for protein molecules. In the MTHFR pathway, the enzyme converts 5,10-methylenetetrahydrofolate into 5-methyltetrahydrofolate. This is one of the steps in the process that converts the ‘ harmful’ amino acid homocysteine to the ‘useful’ amino acid, methionine. What is the 23andme MTHFR test? The MTHFR test has become increasingly popular because of all the awareness currently being generated by widespread DNA testing. The test is used to identify mutations in two specific regions of the MTHFR gene- C677T and A1298C that are associated with the level of activity of the MTHFR enzyme and the corresponding ability to utilize folate. The 23andme MTHFR test will help in identifying the level of MTHFR enzyme activity, which in turn corresponds to how well homocysteine is metabolized and converted into methionine. This is necessary for the synthesis of DNA, serotonin and melatonin. Vitamin B9 (Folate) is vital as it is necessary in the production of all cells. It is required for DNA synthesis, tissue growth during pregnancy, cell division, immune system, blood formation and other important physiological functions. How common are the MTHFR 23andme mutations? MTHFR C677T mutation is the most common and is found at a higher frequency in certain ethnic populations. What is the difference between 23andme MTHFR test and Ancestry DNA MTHFR test? MTHFR test report 23andme report does not include information on MTHFR gene. Information is present as raw data which needs interpretation. 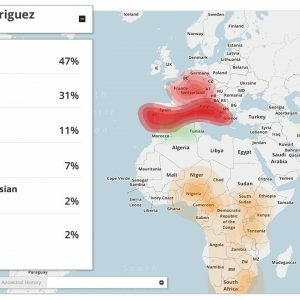 Ancestry report does not include information on MTHFR gene. Information is present as raw data which needs interpretation. MTHFR gene report from Alternate providers A variance report generated using 23andme raw data V5 chip has less number of SNPs compared to ancestry DNA. 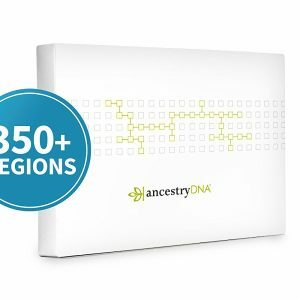 A variance report generated using Ancestry DNA raw data has more number of SNPs compared to 23andme V5 chip. How can the MTHFR gene testing provided by 23andme be used to determine health risk? Here are a few studies which show an association with various health conditions among people with the variant alleles. Association of MTHFR gene polymorphism with cardiovascular disease: In a large meta analysis conducted on over 40 studies that included 11162 cases and 12758 controls, individuals with the TT genotype(C677T) were associated with a higher risk for CVD. Association of MTHFR gene polymorphism with Breast Cancer risk: There are two ways that the 23andme MTHFR gene polymorphisms could influence cancer risk. In the MTHFR pathway, the substrate of MTHFR enzyme, 5,10- methylenetetrahydrofolate, is associated with the synthesis of deoxythymidylate monophosphate from deoxyuridylate monophosphate. When the amount of 5,10-methylenetetrahydrofolate is reduced, it could affect the ratio of deoxyuridylate monophosphate/deoxythymidylate monophosphate. This in turn would increase the addition of uracil, instead of thymine, resulting in the increased risk for point mutation and breakage of DNA. An alternate mechanism for an increase in breast cancer risk is by the level of methionine, as this amino acid is necessary for maintaining methylation patterns in DNA. A meta analysis showed that people with the TT genotype were associated with an increased risk for breast cancer. Association of MTHFR gene polymorphism with Venous thromboembolism: Deep vein thrombosis or pulmonary embolism is one of the major risk factors of morbidity and mortality among older adults. Among 70 individual studies, it was found that people with the TT genotype had higher homocysteine levels, thereby increasing their risk for deep vein thrombosis. Association of MTHFR gene polymorphism with Autism spectrum Disorders: DNA methylation is associated with tissue-specific gene expression imprinted gene expression and chromatin structure. The 23andme MTHFR (C677T and A1298C) have been found to alter the enzyme activity, which has been shown to affect neurological development. Children with the C677T variant were associated with an increased risk of autism spectrum disease in countries where the food was not fortified with folate. Association of MTHFR gene polymorphism with neural tube defects: Neural tube defects are among the most common congenital malformations. In a meta analysis 40 studies were taken into consideration and it was found that mother’s with the C677T variant were associated with an increased risk for neural tube defects. How to interpret 23andme raw data MTHFR mutations? The MTHFR 23andme results can be used to interpret the level of enzyme activity, which in turn can be used to identify the extent of folate supplementation required. Though it has been shown that reduced MTHFR enzyme function is associated with elevated homocysteine levels, many people have normal homocysteine levels, especially in places like the United States where there is a fortification of food with folic acid. Who should take up the MTHFR 23andme test? According to the NIH, there are over 40 mutations in the MTHFR gene that are associated with poor enzyme activity and associated increase in homocysteine levels in the body. Certain genetic testing companies check for only the two major MTHFR gene mutations, while there are many others, like us, who give you a detailed report based on the 23andme MTHFR variants present in the 23andme raw data. The Xcode.Life MTHFR report covers several of these genetic variations covered in the NIH publication above. What more can you do with your raw data from 23andme? Great article! MTHFR sure is one tricky gene. Can you tell me if I can use my Living DNA raw data to get this report? Thanks! Thank you. I am glad you liked the article. Yes, you can upload your living DNA raw data to get the MTHFR report.